EJ 180 -188 In Duplo Sofa is a soft seating series that consist of two sofas in relationship (In Duplo High & Low) that are designed with a common theme. 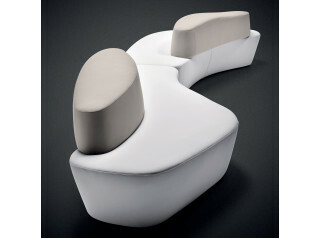 Each In Duplo Sofa consists of a wing shaped corpus that holds a composition of cushions. Like in a stone circle where each element is modified and finds its natural bearing. 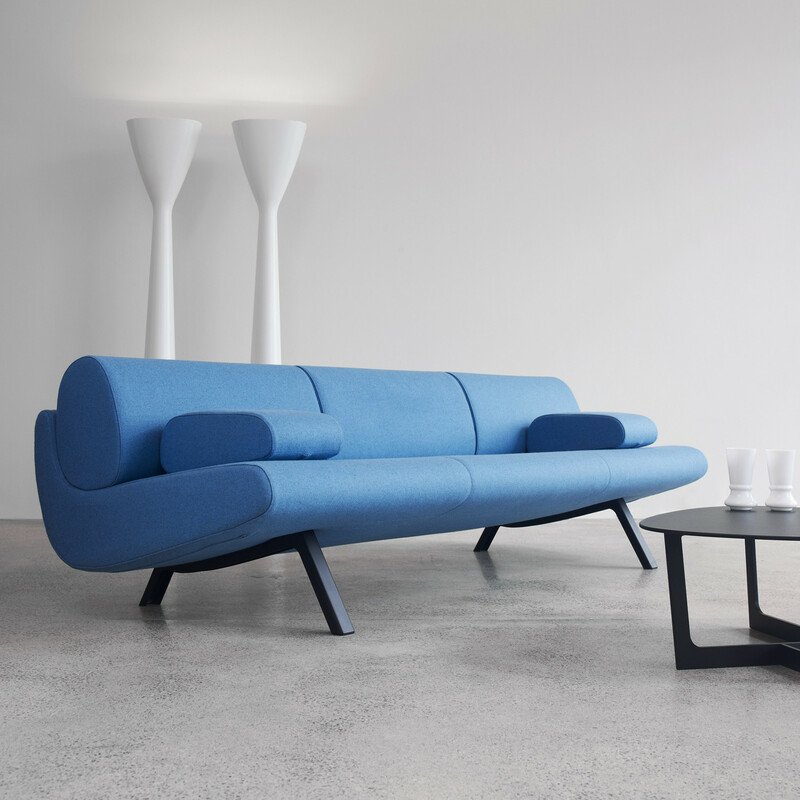 In Duplo sofa comes across as a semiotic sign and with a strong graphic and organic expression that lead the thoughts back to the new modernism in Danish Furniture Design in the early 1950’s. 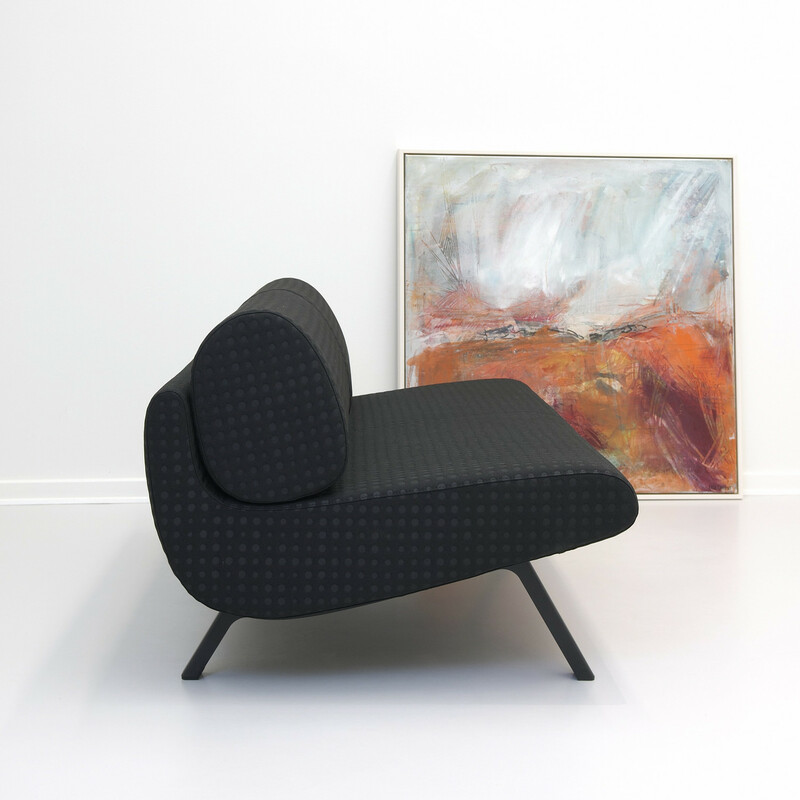 In Duplo Sofa range was awarded with the Wallpaper Design Award 2011 for the In Duplo sofa by Ernst & Jensen Design Studio. 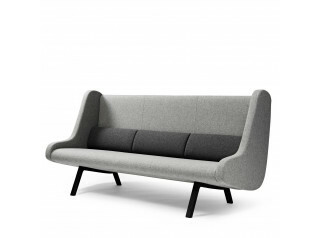 In Duplo High Sofa is a sofa with a straight back and screen character. 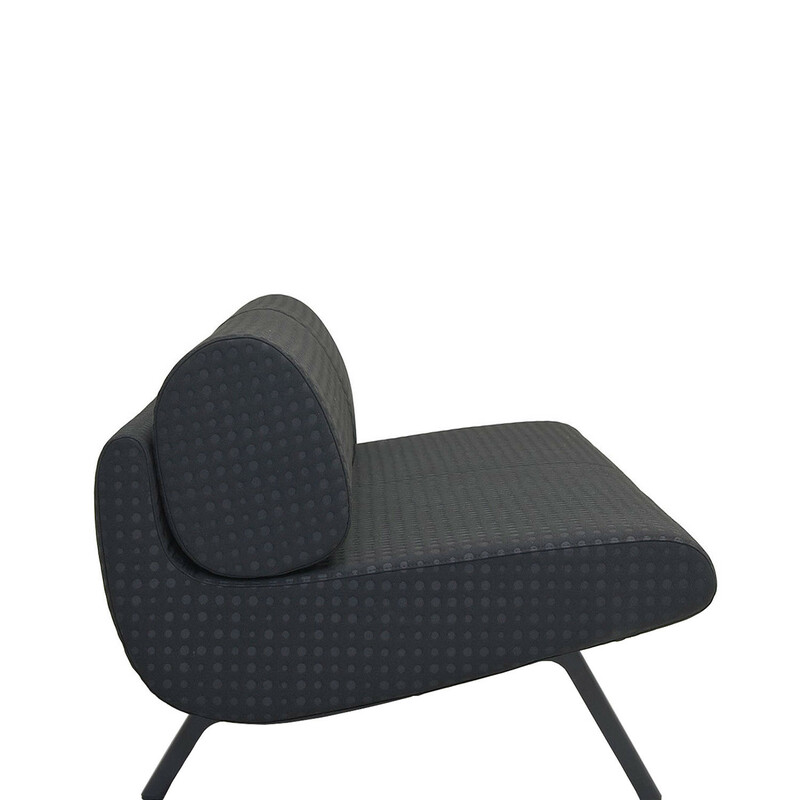 A fully upholstered body with a loose seat cushion and loose lumbar cushions. 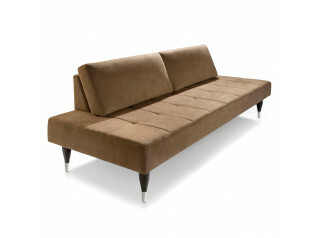 The loose cushions enable fabric combinations with colour and design. In Duplo High, 3-seater 190x76 cm. In Duplo High, 2-seater 129x76 cm. 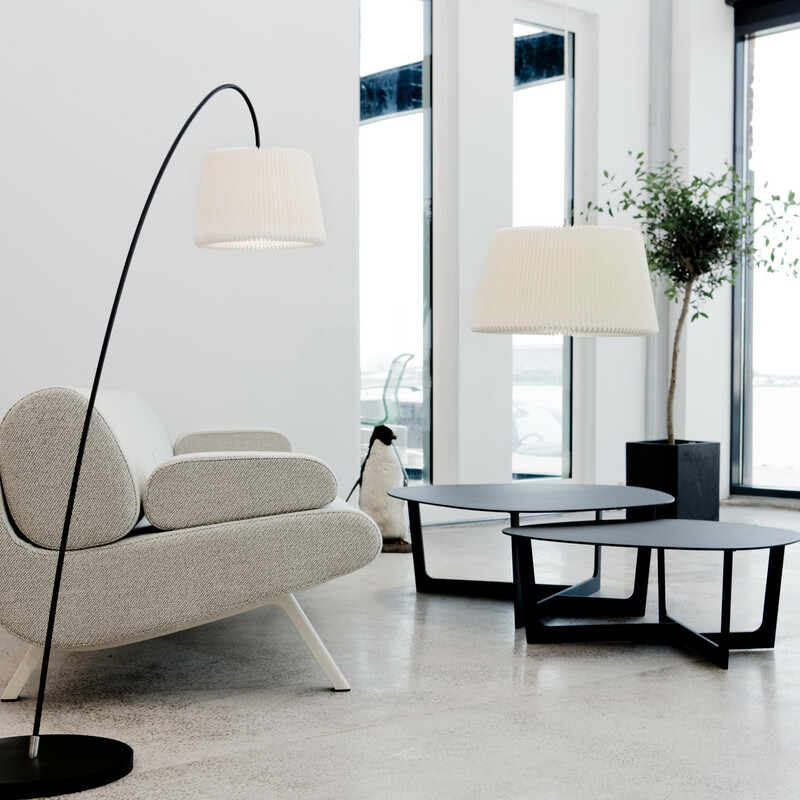 In Duplo Low Sofa is a sofa with a low back and a horizontally, wide character. 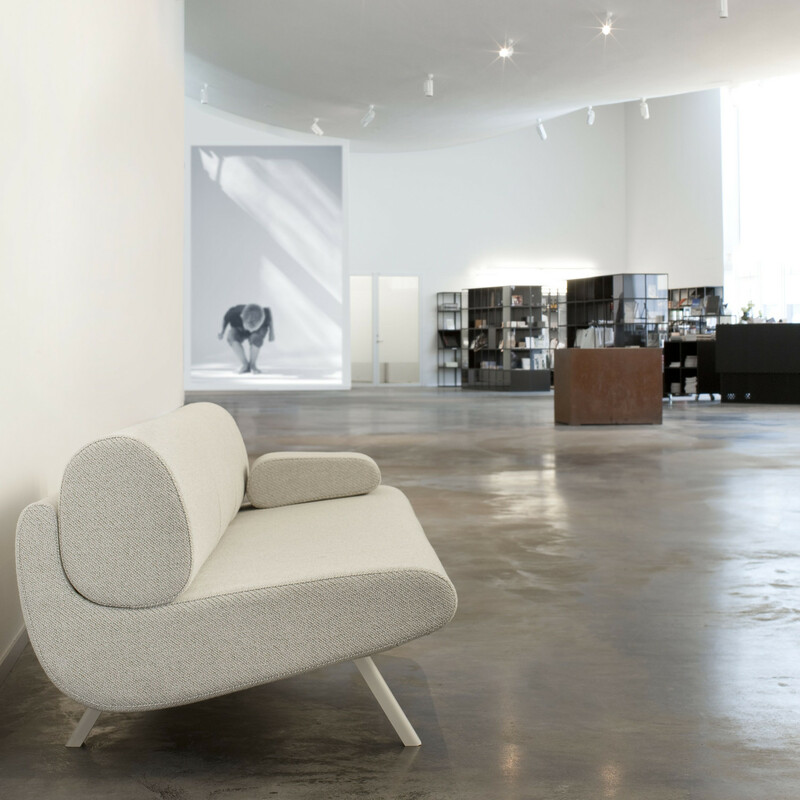 A fully upholstered body with loose back modules and a supplement of a loose cushion that, depending on whether you sit or lie down, functions as ether an arm- or headrest. In Duplo Low also functions as a guest bed when the loose back modules are removed. In Duplo, Low, 3-seater 225x85cm. In Duplo, Low, 2-seater 150x85 cm. You are requesting a price for the "EJ 180 -188 In Duplo Sofa"
To create a new project and add "EJ 180 -188 In Duplo Sofa" to it please click the button below. To add "EJ 180 -188 In Duplo Sofa" to an existing project please select below.